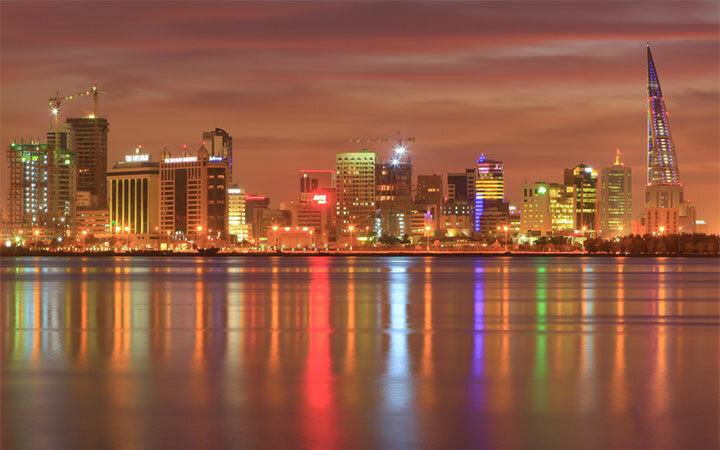 Bahrain has a track record as a modern international business economy stretching back several decades. Its financial services sector has been thriving for 40 years and was recently judged the Gulf’s most sophisticated financial market. Bahrain’s position at the heart of the Gulf makes access to every market in the Middle East quick and efficient – by road, air and sea. By car, Saudi Arabia, the Gulf’s largest economy, is less than an hour’s drive away through the King Fahad Causeway. European expats tend to work in petroleum processing, aluminum production industries, in construction, banking and in rising number of business and professional services. According to the Bahrain Economic Development Board, the quality of expat life in Bahrain was rated among the top 5 in the world by the HSBC expat poll in 2009 and still hold 2nd place for overall expat experience. HSBC Expat poll conducted in 2012 reported that expat professionals living and working in Bahrain were the 12th richest overall. Expats moving to Bahrain will fast find themselves living the high-life, loving the low-slung beach shores, and enjoying the medium-blend of modernity and more transitional Muslim culture found on this 33-island archipelago. Despite the changes in the past ten years Bahrain remains the most liberal country in the GCC, serving liquor and pork meat in many restaurants and stores. Expats moving to Bahrain will find it easy to settle in their new home as the country has plenty of options on offer. Expats moving with families will have plenty of world-class schools to choose from, however due to limited space and high demand early registration is recommended. Opportunities have opened up recently for expatriates to purchase property in Bahrain. Construction boom in the early 2000s has created a wide range of housing to choose from both for purchasing and renting.